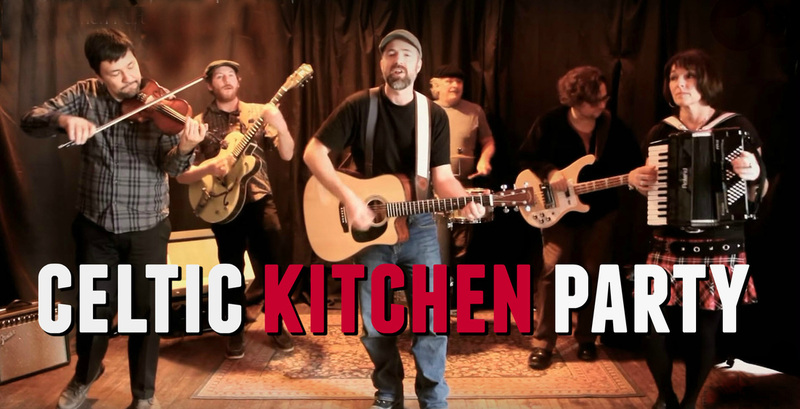 Celtic Kitchen Party the name conjures up a down home feeling where all your relatives and the neighbors drop by for a traditional kitchen party! This diverse band plays a mix of traditional and contemporary East Coast/Irish/Scottish Celtic Music and Pop/Folk, with a dash of rock n' Country. Something for everyone! In high demand for St Patrick's day parties we don't think the party should stop there. They are perfect for weddings , parties and that summertime backyard event you want your guests to remember. They bring a lively high energy feel to any venue. Set your event apart , be prepared to dance and sing along to some of the best party music ever made. There's a kitchen party happening , a Celtic Kitchen Party! Ottawa Talent Agency is pleased to represent Celtic Kitchen Party and we invite you to inquire about a quote for your next function. / Donald, Where's Your Troosers?